Autumn Calabrese knows a thing or two about being obsessed with workouts. 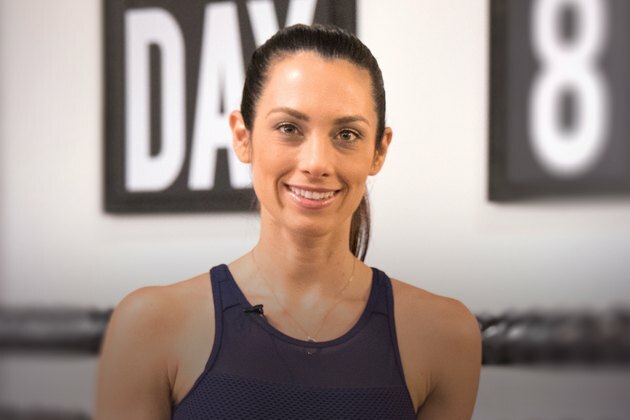 We interviewed the top trainer on the set of her new Beachbody on Demand fitness program 80 Day Obsession as part of LIVESTRONG’s Stronger Women series. What Does Being Stronger Mean to Calabrese? As a single mom to son Dominic, Calabrese has a busy schedule: She wakes up at 5 a.m., packs Dominic's lunch for school, makes breakfast for the two of them, gets her stuff ready to go and heads out the door to the set where she films her workout videos. According to Calabrese, working on fitness teaches inner and outer strength. Calabrese told us there’s no such thing as real balance day-to-day. For Calabrese, that means sometimes work simply has to take the focus. Calabrese explained that being on set by 7 a.m. each day meant she didn't have much of a social life during the three months she filmed for 80 Day Obsession. And she wasn't able to take her son to school during that time either. However, when the program was done filming, she was able to shift the balance back over to her family life. What Are Calabrese’s 4 Favorite Self-Care Rituals? 1. Water. Staying hydrated is the first piece of self-care Calabrese mentioned. "The biggest thing for me is getting enough water," she said. "I always have water with me. I never leave the house without it. I never get in the car without it." 2. Sleep. "I’m very big on 8 hours of sleep," said Calabrese. "Sleep is where all the beauty happens. Everybody thinks that the magic of exercise happens in the workout. It doesn’t! In the workout you break your body down. You tear your muscles on microscopic levels. It needs a chance to repair. The repair process happens when you’re asleep. So, if you don’t go to sleep and give your body a time to shut down so that it can do the repair work, the results aren’t going to be what you need them to be." 3. Massage and foam rolling. "Soreness happens, so getting massages is important," said Calabrese. She told us she gets a massage each week, but she understands that for many people that's not possible. She recommended we aim to get a massage at least once monthly. If the expense is too much, she told us to focus on foam rolling. "A tight knotted muscle is not a strong muscle," she said. 4. Epsom salt baths. Calabrese told us she takes an epsom salt bath every night. "They help with soreness and they’re just relaxing — it’s a chance to decompress," she said. "I’ll use essential oils like lavender in there." What Are Her Favorite Healthy Foods? While eggs used to be her go-to breakfast, Calabrese found out she was allergic, so now she's all about oatmeal. In fact, one of her favorite recipes is oatmeal inside an acorn squash, sprinkled with cinnamon and a little maple syrup. Calabrese does her meal-prepping on Sundays, and she said she loves to cook. “Anybody who says there’s not enough time, I promise you, if you saw my schedule you would realize if it’s really important to you, you will make the time to cook what you need to cook,” she said. What Are Her Go-To Snacks? “I sometimes make blueberry almond muffins with almond meal instead of white flour. Or, I will pack a chewy granola bar that I make,” Calabrese said. She mentioned that she’s a fan of fruits and veggies, but she doesn't chop up her veggies and instead packs them whole. Calabrese said that people laugh at her because she eats whole bell peppers by biting into them like an apple. "What’s the difference if I slice it up or bite into it?" She also loves seaweed snacks. "Instead of potato chips, I’ll do the seaweed snacks that just have a little bit salt on them,” she said. What Advice Does She Have for Someone Just Starting a Fitness Journey? 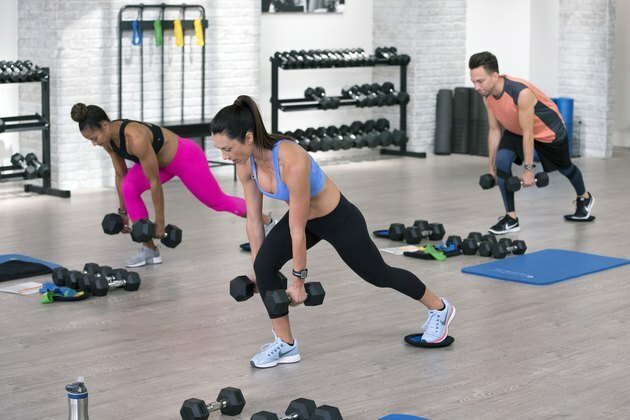 Check out Calabrese's Beachbody on Demand fitness program 80 Day Obsession, and see more of LIVESTRONG's Stronger Women interviews. Have you ever done any of Autumn Calabrese's workouts? Or have you done any other Beachbody workouts? What do you think about her advice? How do you find balance in your life? Share your thoughts and suggestions in the comments below!